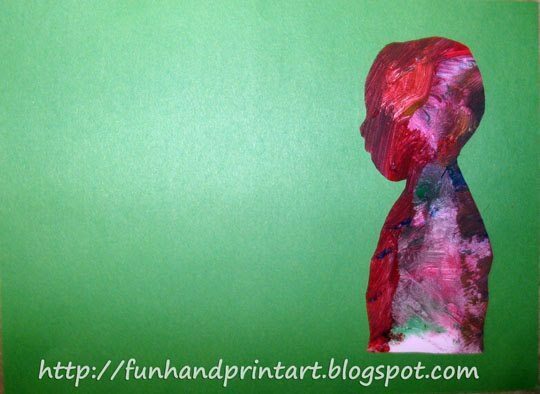 Remember the silhouette painting I posted about earlier this week? Here is the 2nd part of it. 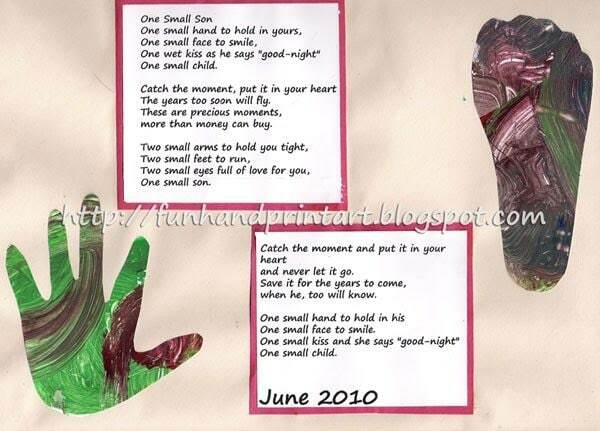 We made 2 different keepsakes with the remaining pieces- a Hand & Foot Keepsake and a Silhouette Keepsake, both with poems. 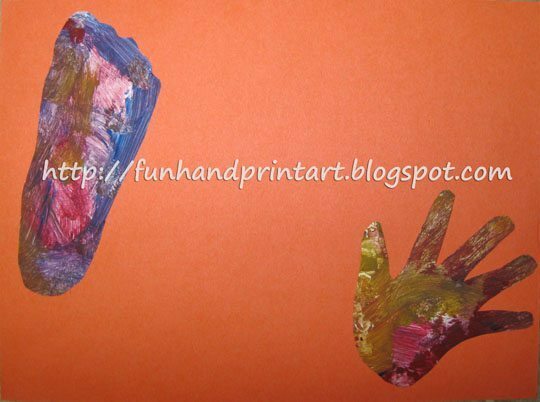 Please see Part One to see how the hand, foot, & silhouette were created. I placed them on 2 different pieces of construction paper and also added a different poem on each. 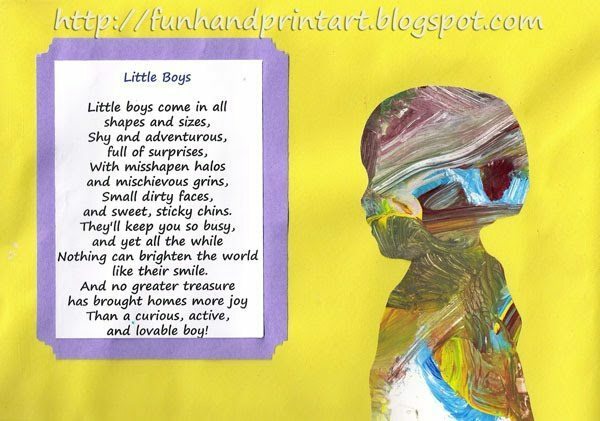 One is a poem about a small child and the other is a poem about little boys. 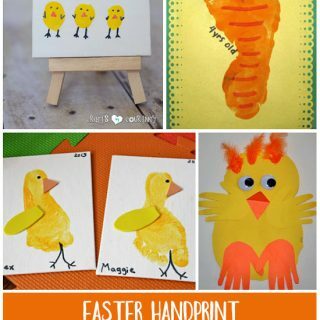 Thank you for all of the amazing ideas…i have a toddler and this is perfect stuff for teaching (and me learning!) 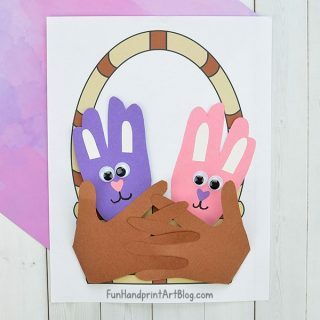 how to do crafty stuff with her!